Consistently ranked as one of Russia’s top universities, the Higher School of Economics (HSE) is a leader in Russian education and one of the preeminent economics and social sciences universities in Eastern Europe and Eurasia. Having rapidly grown into a well-renowned research university over two decades, HSE sets itself apart with its international presence and cooperation. In a recent interview with the HSE News Service, I spoke in depth about my research interests, teaching philosophy and long-lasting collaboration with HSE Institute for Statistical Studies and Economics of Knowledge and Laboratory for Economics of Innovation. — Tell us a little about your background, and some of your biggest career achievements so far. — I was born in Caracas, Venezuela, where I spent most of my childhood, but thanks to both personal and professional opportunities, I ended up living a couple of years in Brazil and Italy, five years in Hungary and 15 years in the United Kingdom, where I became British and completed my PhD at the University of Manchester. In 2016, I moved to Espoo in Finland to work at the VTT Technical Research Centre. One could therefore say that I am virtually a global citizen. With such an international background, my main personal achievements so far have been the consolidation of a lovely family with my wonderful Polish wife Monika and my adorable sons Ricky and Sammy, while at the same time keeping a great relationship with my relatives and ever-growing network of friends, colleagues, business and research partners, and customers. 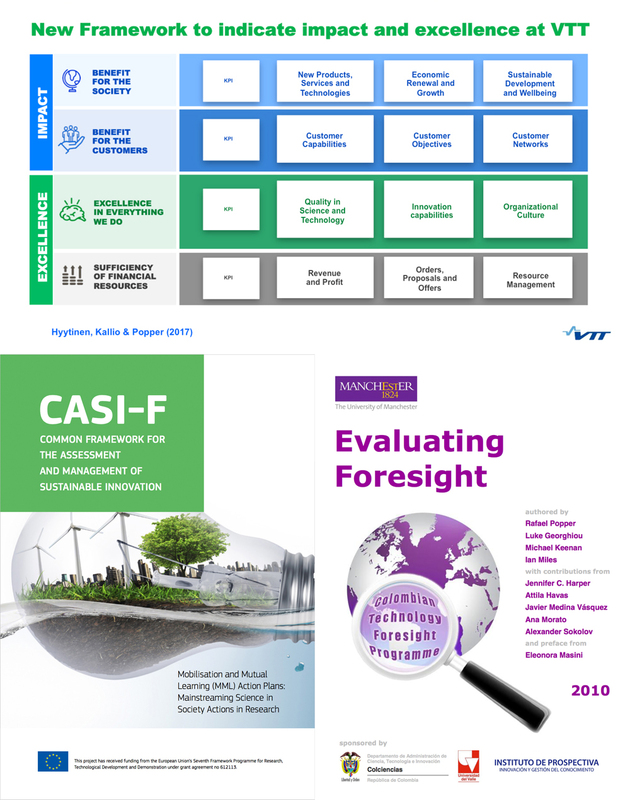 On the professional front, I have many significant achievements in my career, which could be summarized in my capacity to continuously advance concepts and practices in what I have recently termed Foresight Knowledge Diamond (FKD), i.e., Foresight Education, Foresight Research, Foresight Innovation and Foresight Institution. — What is your favourite topic and why? — Given my foresight background, it is probably not surprising that in the HSE Master’s Programme in Governance of Science, Technology and Innovation (STI) my favourite topic is called ‘Looking forward: the future of STI policies’. Besides this topic being the most future oriented, which makes it fascinating by default, it allows students to think creatively about the dynamics of multi-level actions – strategic, tactical and operational – that are needed to transform STI systems and relevant actors for the better, for example government, business, research/education and civil society. — How widely have foresight methods been adopted in modern economics? What are some of the benefits that can come from using foresight methods? 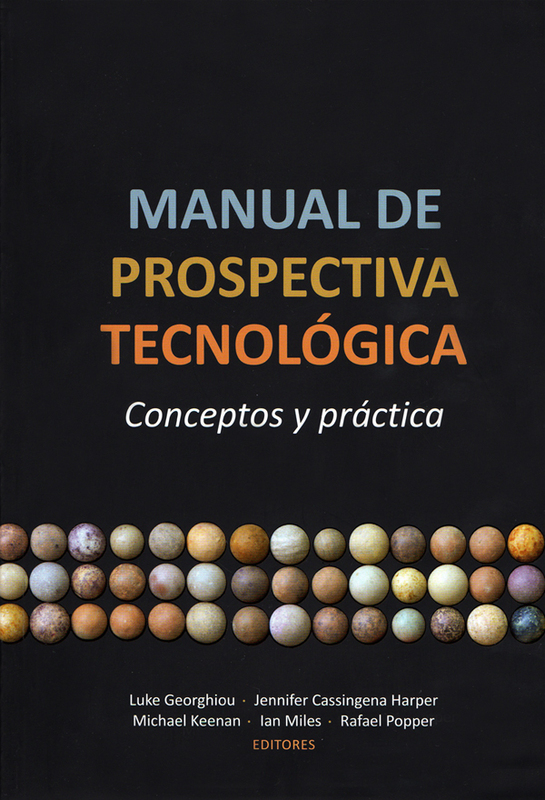 — Foresight methods such as backcasting, roadmapping and scenarios are increasingly being embedded into modern economics and practically every field of science due to the fact that scientific, technological and innovation activities of the knowledge-based global economy are becoming increasingly multidisciplinary. 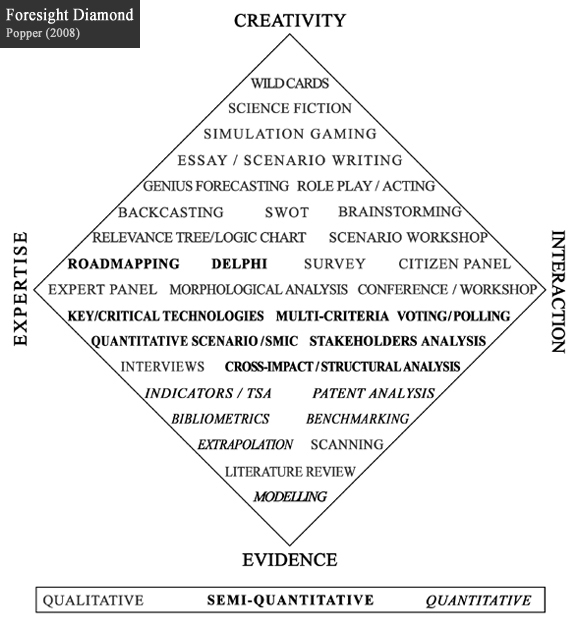 Hence, the most significant achievement of foresight methods is the capacity to interconnect knowledge from multiple sources, combining evidence, expertise, interaction and creativity, which has come to be better known as the Foresight Diamond. — What are some of your teaching methods? Is there any particular teaching philosophy that you follow? — I have around 20 years of experience in teaching, including PhD, MSc and MBA courses, as well as executive education and short courses on STI policy, foresight, and sustainable innovation assessment and management. My single ‘secret’ method in teaching has always been building the right connection with students. While in theory this may sound too simplistic, in practice it requires certain interpersonal and other skills, including creativity, originality and ability to motivate and engage students into learning and discussing about the course topics before, during and after the lectures. — You have long been a friend and collaborator with the HSE Institute for Statistical Studies and Economics of Knowledge and the Laboratory for Economics of Innovation. Do you have any joint research or publication activity planned? — The HSE Institute for Statistical Studies and Economics of Knowledge and Laboratory for Economics of Innovation have been a point of reference as well as a natural choice for research and education collaboration in the areas of foresight and STI policy. We have several research and education plans. For example, we recently submitted a proposal in a very competitive European Commission tender to build and pilot a Strategic Intelligence Foresight System supporting future research and innovation programmes in Europe and across the world. Regardless of whether the tender is actually funded by the European Commission, I plan to pursue this and similar research objectives together with HSE/ISSEK colleagues in the future. Regarding publications, several ideas are already in the pipeline, including journal articles, chapters and books, contributing to foresight and STI policy theory, methodology and practice. — You speak many languages. How did you manage to learn so many? Do you have any plans to learn Russian? Being born in Latin America and the Caribbean region and raised by two university professors of mathematics with Venezuelan and Austrian background probably blessed me with the spirit of curiosity-driven optimism and a natural in-built capacity to love and rapidly adapt to both multicultural and multidisciplinary environments. My life pathway has made Spanish and English my strongest communication channels, followed closely by Hungarian. I understand and feel comfortable reading and listening to Italian, French and Portuguese, although my speaking skills are becoming a bit rusty due to lack of practice. Polish, Finnish and Russian are definitely the next target languages in line, but time has been the most challenging resource; I have not been able to devote enough to this endeavour. Nevertheless, the good news is that my wife also studied Russian and Ukrainian philology; thus, she is always there to help, especially with paperwork and other requests in Russian. — You’ve been to Moscow a number of times. What are your favourite places here? What are some of your plans outside of work? My first visit to Russia was in 2004 when I was invited to a seminar in Ufa, where I presented experiences and best practices on foresight programmes in selected countries with the overall objective of stimulating the organization of technology foresight activities for the Republic of Bashkortostan. 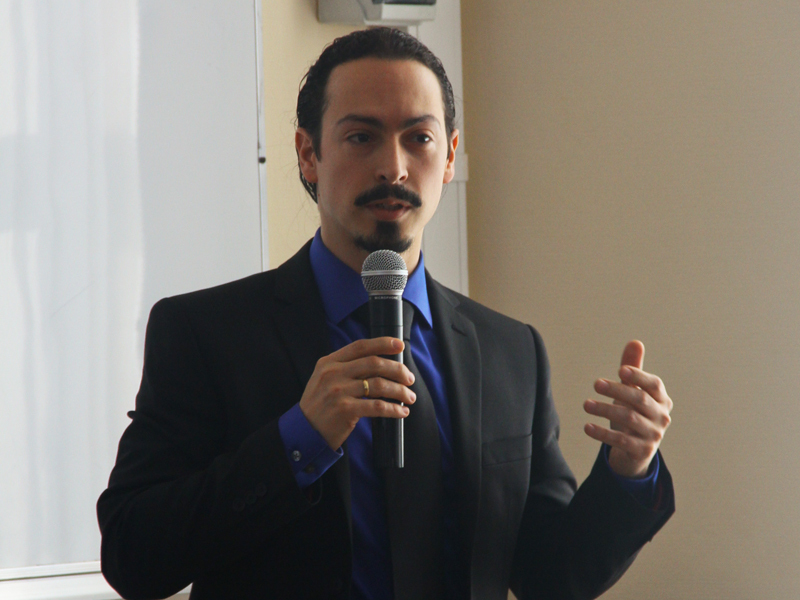 The seminar was developed in cooperation with the UNIDO Moscow office, the European Commission and the British Council. Since then, I have visited Russia several times, mainly Moscow and St. Petersburg. In Moscow, my favourite places are definitely around the Red Square area where plenty of historical buildings, restaurants and lively places offer a magnificent and superb atmosphere all year long. Apart from work, my time in Moscow is pretty much focused on two main activities, to continue exploring and enjoying the richness of the Russian cuisine and culture, and most importantly, to spend quality time with both old and new colleagues from the HSE/ISSEK family.